While we love all of South America, traveling to the wine areas of Chile and Argentina is special. The cuisine is delectable and unique, the vineyards and landscapes are breathtaking, and the wineries are world class. Heading for a late dinner in the hip city of Mendoza, engaging in conversation with a Chilean wine maker, or simply saying “hola!” to the many locals we meet on our activities, reminds you that South Americans seem to have a proper balance to their lives, with friends, family, and fun co-existing with work. This Taste Vacation takes us to the major wine areas in both Chile and Argentina. Both countries are captivating destinations for wine lovers, with an astounding range of landscapes, grape varietals and micro-climates. In Chile, we visit the Maipo, Apalta, Colchagua, Casablanca, and Aconcagua wine valleys. In Argentina, we visit the famed wine-producing areas near Mendoza: Lujan de Cuyo, Maipu, and the up-and-coming Uco Valley. Lovely upscale hotels, great food and plenty of vino! Flight from Santiago, Chile to Mendoza, Argentina (estimated to be $400) is additional. We will purchase this for you and include this cost on your invoice. Please note – Our pricing is based on double occupancy lodging. If upon finalizing your private trip, your group has a solo traveler in a room without a roommate, the single supplement becomes mandatory. This amount will differ depending on the itinerary. Please contact our tour operations team for more details. We meet in Chile’s capital city of Santiago this morning. After a brief orientation, we begin our travels south, ultimately arriving in the town of Santa Cruz at the end of the day. 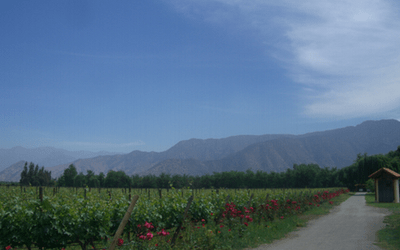 Along the way, we will visit Vina Undurraga, in the Maipo Valley. Undurraga is one of the most prestigious and longest-operating wineries in Chile. We’ll also enjoy a tasting and lunch at the 100% family-owned Casa Silva estate. 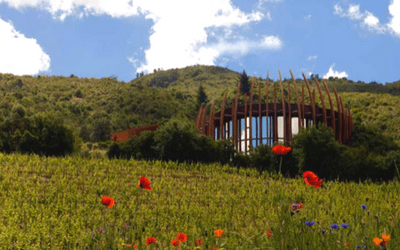 Here, you will have your first views of the most highly decorated wine valley in Chile — the Colchagua Valley — also known as the “Napa” of Chile. Additionally, we ’ll be treated to views of the surrounding Andes Mountains, the vineyards, and the estate’s polo field! After checking into our beautiful hotel among the vines, we will head to a lovely al fresco welcome dinner at MontGras Winery. After a leisurely breakfast, we make our way to Clos Apalta for our first tour and tasting of the day. Owned by the Lapostolle’ family, there is not a more picture perfect and architecturally stunning winery in all of the Apalta Valley. Clos Apalta produced what Wine Spectator Magazine named the Wine of the Year in 2008. They were also featured on the cover of Wine Enthusiast’s March 2015 issue for their Clos Apalta 2011. We’ll end our visit here with a delicious lunch. This afternoon, you’ll have your choice of exploring the village of Santa Cruz, visiting the incredible Colchagua Anthropological Museum (a unique museum considered to be the most important in Chile by many), or sitting and relaxing by the pool. We’ll then reconvene and return to the Colchagua Valley for a delectable wine-paired dinner with panoramic views of the Viu Manent vineyards. We drive north from Santa Cruz this morning, toward the cooler Casablanca Valley, several hours to the northwest. This stretch of land nearer to the coast has become Chile’s top white wine region. Our first stop, Veramonte, is set in the beautiful Casablanca Valley. Their facility is built for small-lot wine production where individual vineyard blocks are fermented and aged separately prior to final blending, allowing winemakers to produce vineyard-expressive wines. We’ll enjoy lunch and wine at their local-ingredient focused restaurant. We came all this way to taste wine, didn’t we? Of course, we did! So we will head to another fun tasting, this time at Emiliana, which focuses on biodynamic practices. 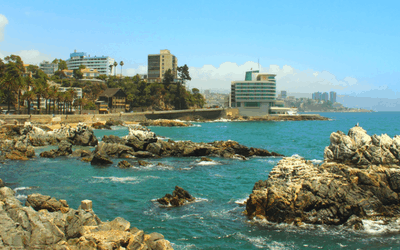 Then, it is on to the coast and the seaside town of Viña del Mar, where our hotel is right on the ocean. Tonight’s dinner is on your own — if you are up for more exploration, we recommend taking a taxi to Valparaiso, just a few minutes away. Otherwise, there are plenty of great options right out the door of the hotel. In either case, you’ll fall asleep listening to the crashing waves below. After a relaxing morning near the ocean, we move to our final (and prettiest, we think!) 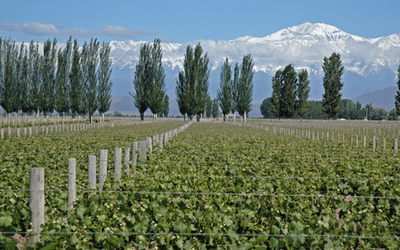 wine valley visit in Chile: the Aconcagua. Our first stop will be a visit to Vina Von Siebenthal, with a tasting of their eloquent wines led by the lovely Soledad. With a backdrop of the snow-capped Andes and the fresh spring vines spread out in front of us, you will wonder if you will ever see a prettier vineyard! Dinner tonight is at a private wine estate and our husband (winemaker) and wife (chef) hosts will ensure it will be one of the trip’s most memorable. After breakfast, we visit Viña San Esteban, where Maria Jose will lead us through a blending course and where you will make your very own cuvee’. Be warned, if you don’t like your wine, you can only blame the winemaker – yourself! We then depart Los Andes for Santiago to catch our flight over the Andes Mountains to Argentina. (This flight is estimated to cost $400 — we will purchase this for you and include this cost in your invoice). From the plane, we just might see the impressive Mount Aconcagua, the highest peak in the Americas! 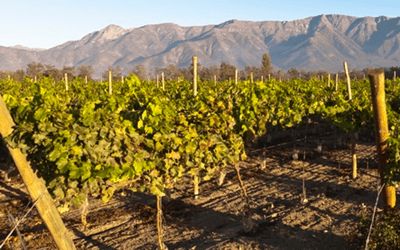 We land in the city of Mendoza, which is surrounded by hundreds of wineries and includes three wine areas: the Maipu, Lujan de Cuyo, and the Uco Valley, home to the highest-altitude vineyards in the province. We depart directly for the stunning Uco Valley with the massive dormant volcano Tupungato staring down at us! Depending on our flight arrival time, we may be able to slip in our first wine tasting in Argentina before tonight’s dinner at our lovely hotel. We begin our day with a private tasting at a wonderful boutique winery, Bodegas y Viñedos O.Fournier. Next, we head over to the private vineyards and luxurious resort at The Vines of Mendoza, which is also home to Siete Fuegos, a restaurant of internationally acclaimed chef Francis Mallman. Mallman creates inspired regional dishes that showcase Argentina’s famous beef (he has also been featured on the Netflix series, Chefs Table). Our early dinner here is an event, and has us looking out at the snow-capped peaks of the Andes while we sip on their private label wines – a true oasis in the desert. After breakfast, we’ll visit Bodegas Salentein for a tasting. This cross-shaped building was made as a tribute to the Jesuit missionaries who settled here in the 16th century. The shape also allows for careful management of the grape and the wine, ensuring that both spend very little time in transit throughout the winemaking process. 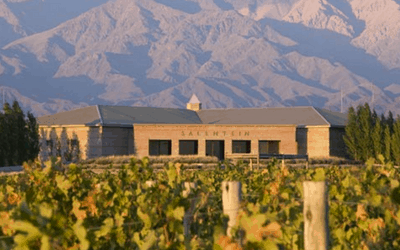 We then make our way back to Mendoza, stopping at Bodegas Ruca Malen for a lovely wine-pairing lunch that includes their award-winning, modern-style wines. Finally we will arrive to the lively main square of Mendoza, one of our favorite cities in the world, and check into our hotel. Our lodging is perfectly situated and we purposely give you free time this afternoon and evening for exploring this this vibrant city on your own. We recommend the lively Aristides Street for dinner, where you can get a big helping of Mendocino culture and join the locals as they live it up. We begin our day by heading to the foot of the mountains and the mouth of the Mendoza River to Bella Vista Vineyard of Achaval Ferrer. They are known for their century-old vines and their philosophy of intervening with nature as little as possible. Afterward, we will have a multi-course lunch with wine at a different winery. Mendoza’s three wine areas are home to close to a thousand wineries, with new ones rising to fame all the time, so we often wait to see what is new and hot before deciding exactly where to go this day. Later this afternoon, you can partake in a siesta, or explore the very walkable neighborhood near our hotel on your own. Tonight, we have a farewell dinner in Mendoza. It’s time to share your wine country adventures and stories over a glass of your favorite varietal(s), a wonderful meal, and great company! After a restful last night in the hotel, we will say our goodbyes on this final day of our Taste Vacation, depart for the airport, or continue on to your own South American wine journey! "I was concerned about the limitations of being on a guided tour as well as having to spend the entire time with a group of strangers. What I found was that the tours were extremely well planned and the accommodations, meals, wine tastings, and activities were perfect! And at the end of the trip, the people that began the tour not knowing each other, parted as a group of forever friends planning another adventure together with Taste Vacations." - Alice T.
Nights 1 & 2: Hotel Santa Cruz Plaza – We spend two nights at this elegant five-star complex with beautiful colonial rooms. Located right on the main square of Santa Cruz, the main wine town of Chile. Santa Cruz is in the Colchagua Valley, three hours south of Santiago. Night 3: Atton San Martin – Our rooms have an ocean view and we love falling asleep listening to the crashing waves below. After traveling through the Casablanca Valley, which produces many white grape varietals because of its cooler weather, we’ll end up in the upscale town of Viña del Mar, just up the coast from Valparaiso. Night 4: Inca Hotel – Our final night in Chile we spend at a simple, yet comfortable hotel in Los Andes, a fun market town in the Aconcagua Valley on the way to Argentina. Night 5: Auberge du Vin – A stunning hotel near the town of Tupungato, within the wine region of the Uco Valley, 90 minutes south of Mendoza. The hotel is nestled in its own vineyard and you can pick world-class Malbec grapes directly from the hotel’s grounds, or perhaps even your room! Nights 6, 7 & 8: Park Hyatt Mendoza – This five-star property, located in the Plaza de la Independencia, and is, without a doubt, one of the premier places to stay in town. 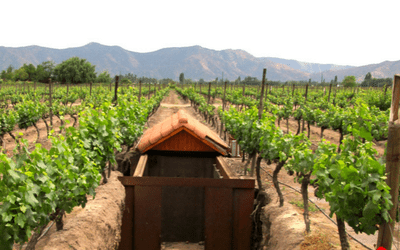 Mendoza is surrounded by the largest wine-producing area in Latin America. Not Included: Travel to and from destination/meeting point, one-way flight from Santiago to Mendoza (which we will purchase for you), desserts, beverages and wine with meals, personal expenses, and optional gratuities to local staff and your Host. Travel insurance is also not included, though we highly recommend it. Check out our Travel Insurance page for more information. While the general trip itinerary will remain the same, the actual restaurants, hotels, and activities listed are subject to modifications. Changes that are out of our control are common — restaurants close or lose their amazing chef, a winery changes their visiting hours, a hotel gets remodeled, etc. You are entrusting us to create an outstanding vacation for you and so it is possible we may take the liberty of making necessary changes to the itinerary that will improve your overall trip experience. 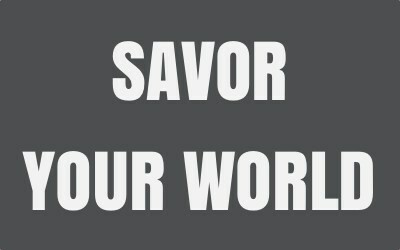 If there is any one experience that is going to make or break your trip, please discuss this with us in advance. We meet you in Santiago, Chile (SCL) on the first morning of the trip, at a hotel in the Providencia neighborhood. We suggest arriving at least a day ahead of time to recover from long flight, allow for any travel delays, and explore Santiago on your own since we don’t spend any time there during the trip. On the last day, we will end in Mendoza, Argentina. 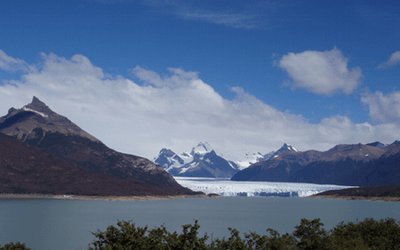 You should make your return flights out of Mendoza (MDZ). The Mendoza airport has direct flights to Santiago, Buenos Aires, and several smaller Argentinean cities. Upon booking, we will send you more information on your travel logistics.